Tel Aviv, Israel, 1960's. Front row, left to right: Renee Kolender (née Fuchs/Fox), Aunt Rivka Kolender, Uncle Chaskel Kolender (Pincus's father's brother, who survived WWII in Siberia, Russia). 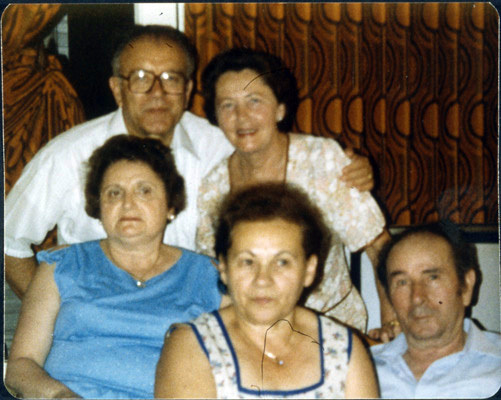 Back row, left to right: Pincus Kolender, Esther Stern (cousin-in-law).